Whatsapp is one of the most popular app for sending and receiving messages, photos, videos and more.... Now every android or iOS users using WhatsApp app for chats and private chats. IF you want to fake whatsapp account for fool your friends and family just for fun. 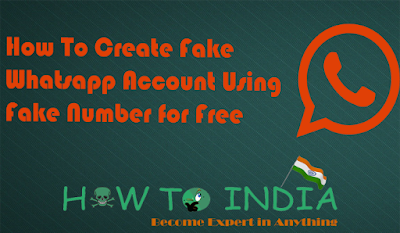 So you need to read this full post for getting whatsapp account using fake no. Using this trick you can fool or prank your friends and family for fun and you can be showing other WhatsApp no to peoples. First of all, read something about Whatsapp. WhatsApp was incorporated in 2009 by Brian Acton and Jan Koum, both former employees of Yahoo!. WhatsApp Messenger is a free, cross-platform, end-to-end encrypted instant messaging, proprietary and social media application for smart phones. It uses the Internet to make voice calls, one to one video calls; send text messages, documents, PDF files, images, GIF, videos, user location, audio files, phone contacts and voice notes to other users using standard cellular mobile numbers. There are three apps called Voxox, Vovox, and Talk2 for helping to create a fake Whatsapp account using the fake number. This apps works on every android devices and rooted or none rooted device. These apps are easy & free to use. First of all, Install and verify WhatsApp on your phone. (Skip this step if you have WhatsApp already installed & verified on your phone). Click here to download Google Play Store. Now, Note down your Vovox Number which is highlighted by Blue color. Now, Click on “Done” option present in Whatsapp app’s top right-hand side corner, You’ll soon receive a message on your Vovox app with a verification code, while at the same time WhatsApp app will be waiting for Verification. That’s it! Your Whatsapp verification would be completed successfully! & you can now use WhatsApp with a fake/spoof U.S.A number and Enjoy WhatsApp Anonymously! Talk2 is a communication app that allows you to own a Philippine mobile number so that your friends and family can call and SMS you at local rates, anytime, anywhere. Enjoy unlimited chat between Talk2 users. Send photos, voice and other media attachments to another user or within a group chat. No wifi required! Unlike other apps, you can reach your family back home via their regular mobile numbers even without a broadband connection. Get all the convenience of our app-to-phone / phone-to-app communication and affordability of local call & text rates while abroad! Purchase call minutes and SMS credits in our Packages tab. Please remind your contacts that they need regular load when calling and texting Talk2 users from local mobile providers. Get your regular contacts to download Talk2 for FREE in-app messaging & calls, all with just a reliable broadband connection! First of all Download, the Talk2 App From Google Play Store using Below links from Google Play Store or you can search it from google for direct APK. Then Open the app and verify your own mobile number. After verification Talk2 app gives you a Philippines number. Now open WhatsApp and enter the new number given by Talk2 app. 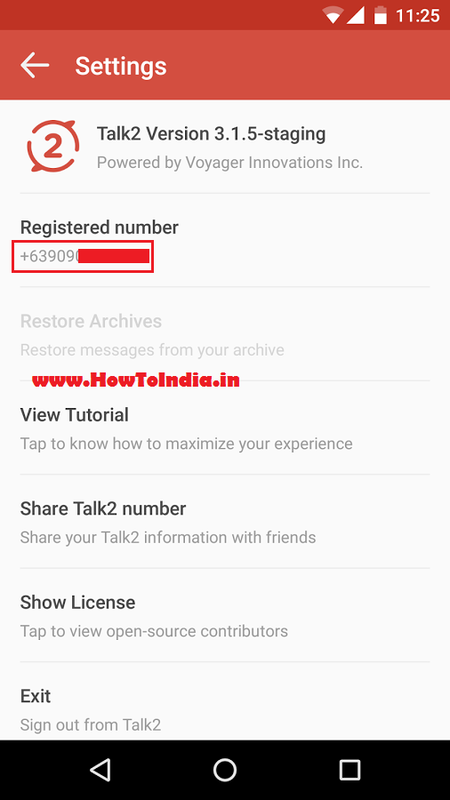 Then verify mobile number on WhatsApp using a text message or calling both of works on the talk2 app. After verification, you fake whatsapp account will be 100% created with fake WhatsApp no for free. This trick is only for educational purpose only you can not use this for any illegal activity. 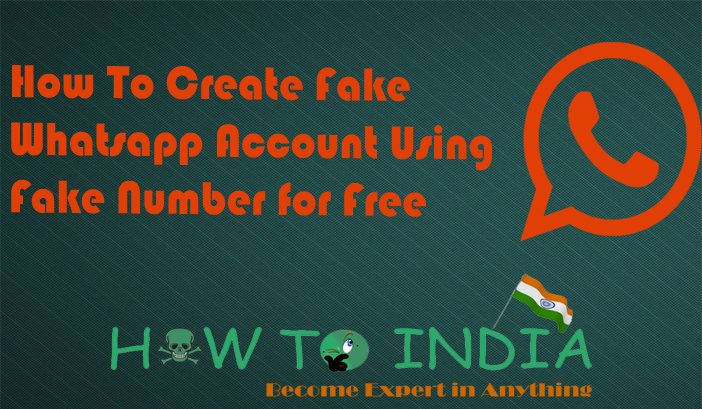 Now you will successfully be created fake account using the fake number on WhatsApp. Now fool or pranks your friends. If you have any doubts or question for this please comment we will reply soon as possible.